The iconic Frandsen Klassic Metal Floor Lamp was originally designed by Danish Founder and Designer Benny Frandsen in 1969. The Klassic Metal Floor Lamp as its name implies, features a classic design that is both utilitarian and timeless. Its classic design fits today's modern interior design that can be utilised for the office, living room, bedroom, entrances and more. The Frandsen Klassic Metal Floor Lamp can be used next to your living room sofa, in the corner of a dining room setting, in the corner of a reception or lounge, in your home office, or bedroom to accent your living space. A truly versatile floor lamp, the Frandsen Klassic Metal Floor Lamp is the perfect home accessory to accent your interior design project. 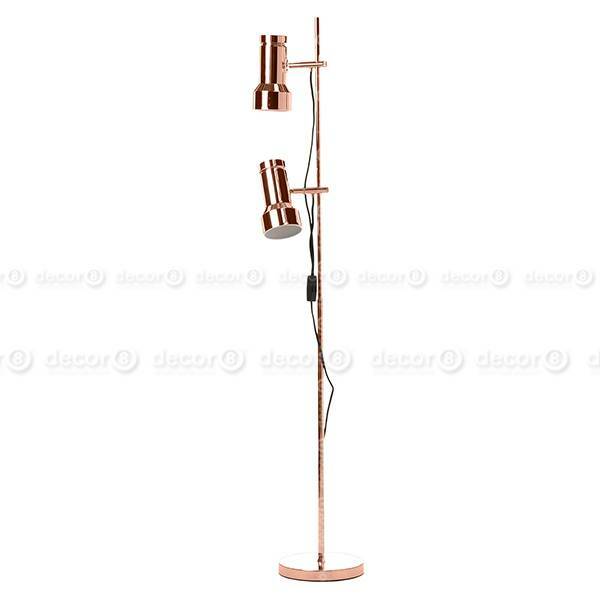 Made from metal, the Frandsen Klassic Metal Floor Lamp can be used throughout your home or office interior. Max 2 x 60W, E14 bulbs not included. Installation or customisation is not available for this product.